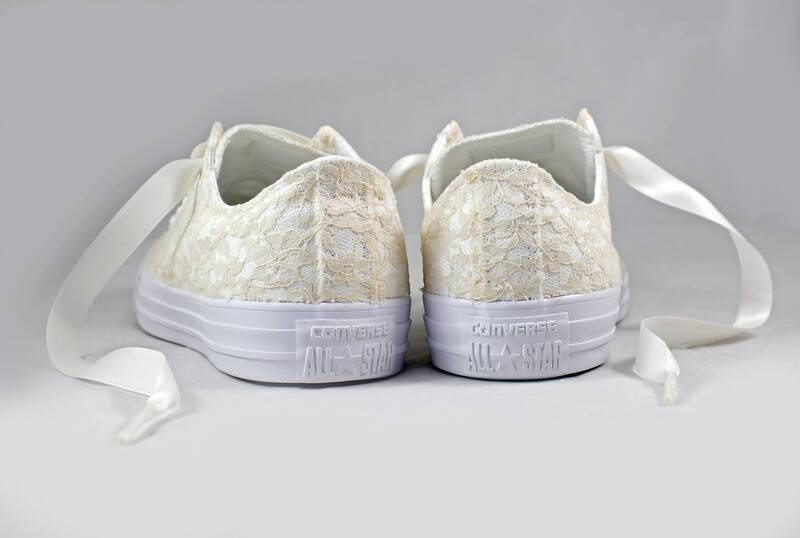 Skip down the aisle in comfort in these beautiful champagne lace Converses! 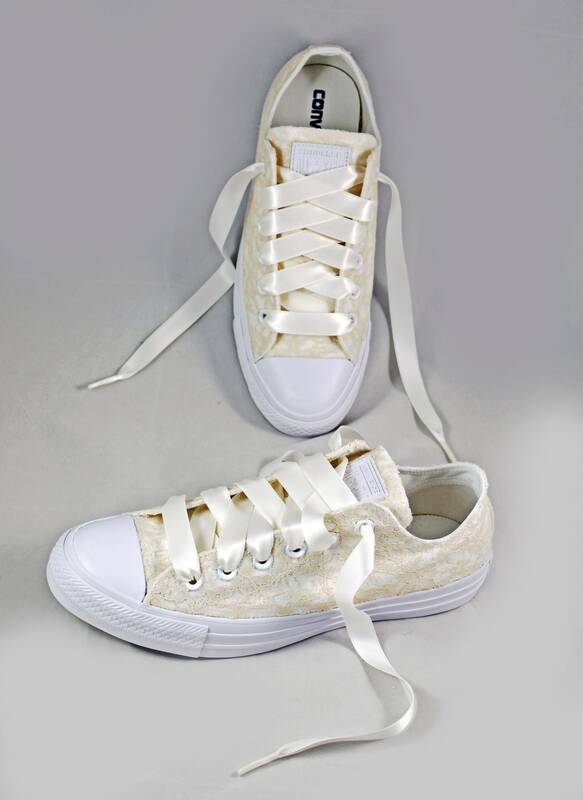 Pictured in white with champagne lace and ivory ribbon shoelaces. 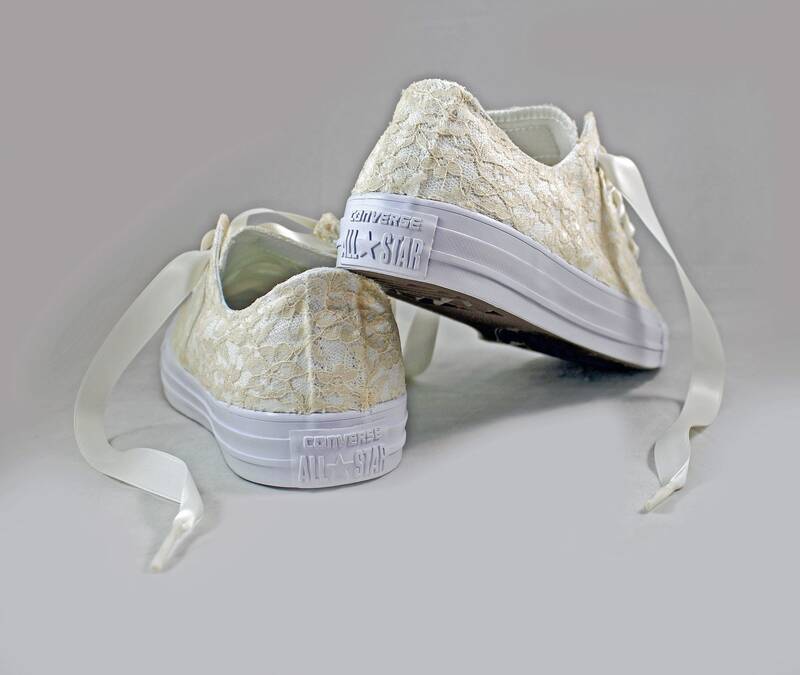 I could not be happier with how these shoes turned out! 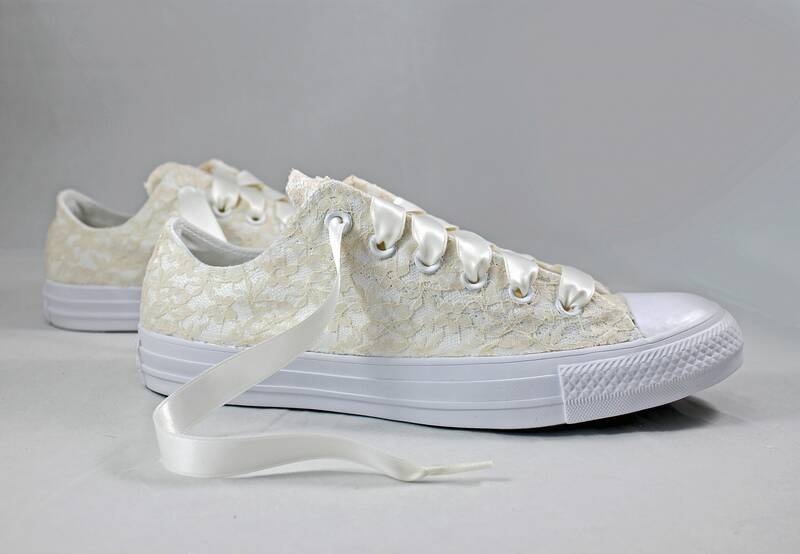 I'm so excited to wear them on my wedding day. 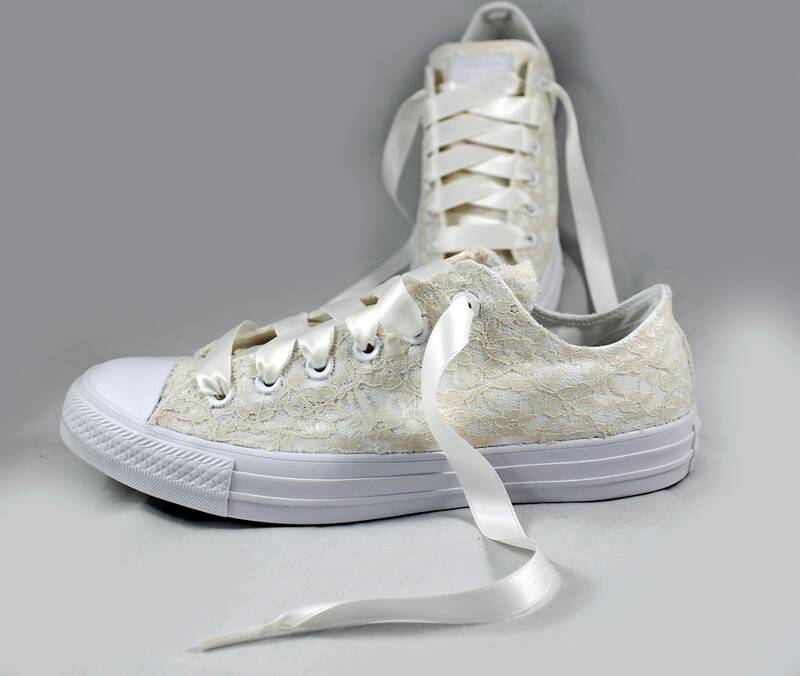 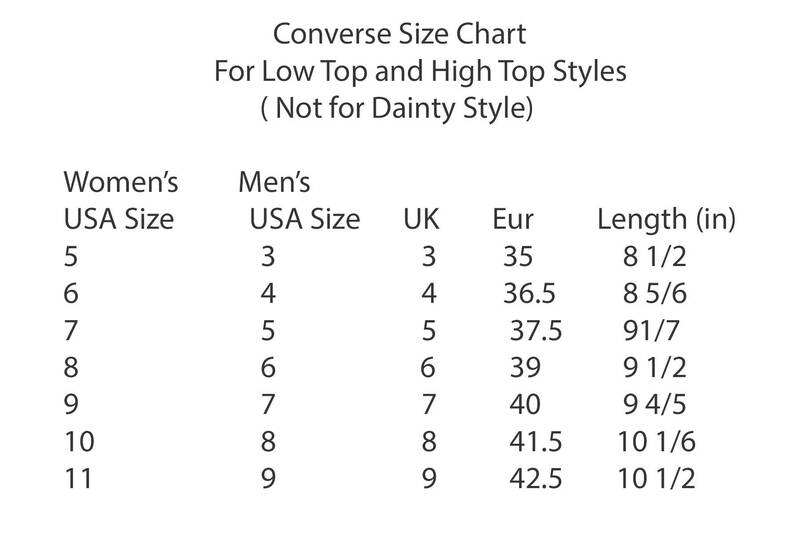 These shoes are the perfect way to wear converse but still look dressed up for a special event!